This jean has had the ankle slimmed. Can you tell? What jeans are good for ankle slimming? I need to hem my skinny jeans, should I also slim the ankle? To Hem Or Not To Hem – What To Do With Skinny Jeans? TIP: Tailors that use a chain stitch machine on your denim will be able to better match the original stitching. Bad jeans to alter will have distressing along the outside seam, which is pretty much every medium to light wash blue jean, and some dark wash jeans. If you look at the jean above that I had my tailor slim, you’ll see a very distinct change in the look of the seam. It went from looking like a pretty normal, slightly distressed denim seam, to looking obviously altered and way too smooth. If you have jeans that turn out like this, you can try distressing the altered seam yourself with some sandpaper, which I haven’t tried, but have had it suggested. 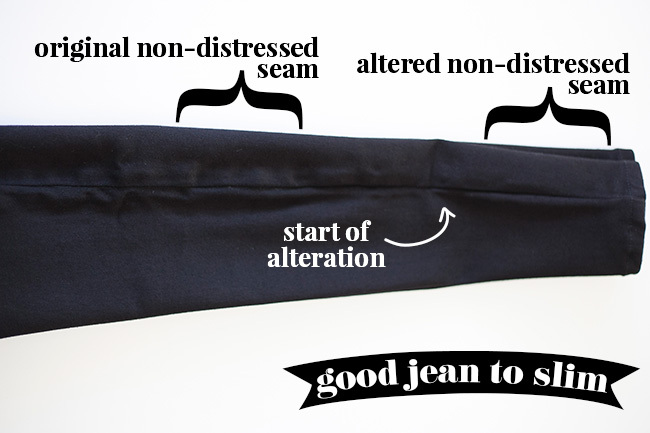 Good jeans to slim will generally be all one color, with no distressing along the outside seam. With no distinct distressing, the point at which the alteration starts will be much harder to find and won’t look obviously altered to the untrained eye. The jean above has had the ankle slimmed, and while you may be able to clearly see the point of alteration in the pic above (it was hard for me to find, but I’m pretty sure I marked it correctly), it’s not obvious at all once the jean is being worn. I hope that helps! Have a great week, everyone! I thought I left a comment months ago when I first read it, but anyway I love this post. the last pair of skinny jeans I had slimmed, what a difference it made! I always thought my skinny jeans fit more like straight leg, derp. I love the sizing and alerting tips. I don’t really get about the bad jeans. Why are they bad to hem? Hi Claudia! They can be hemmed just fine. 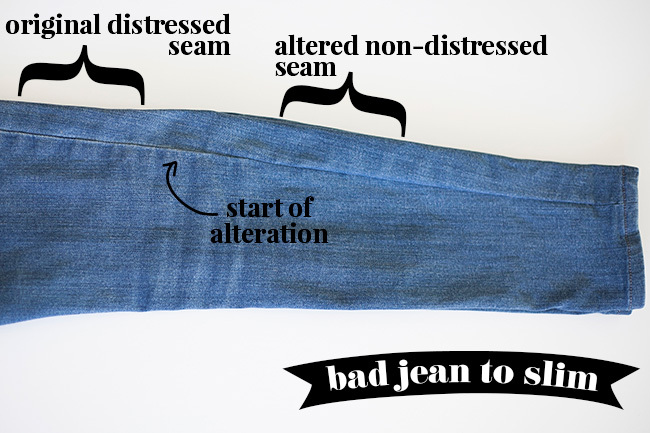 But if you hem jeans that are skinny fit, you will lose the skinniest part of the jean in the hemming (the skinniest part of the jean is suppose to be the ankle, but if you hem the ankle of the jean off, then the calf of the skinny jeans are now where your real ankles are, so they are not as slim). 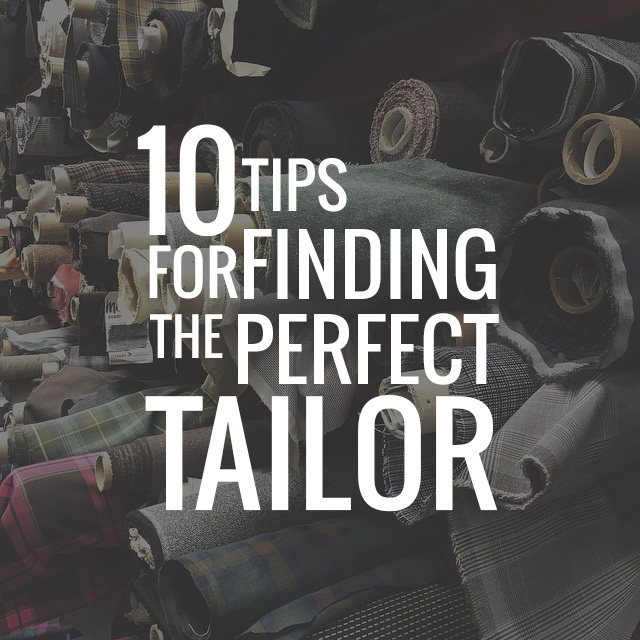 In these cases, I often get my skinny jeans slimmed down at the ankle so they fit skinny again, but if you look closely at the photos above, slimming along seams that have discoloration, distressing, or a rippled effect won’t look the same after being slimmed. SO glad I saw this! 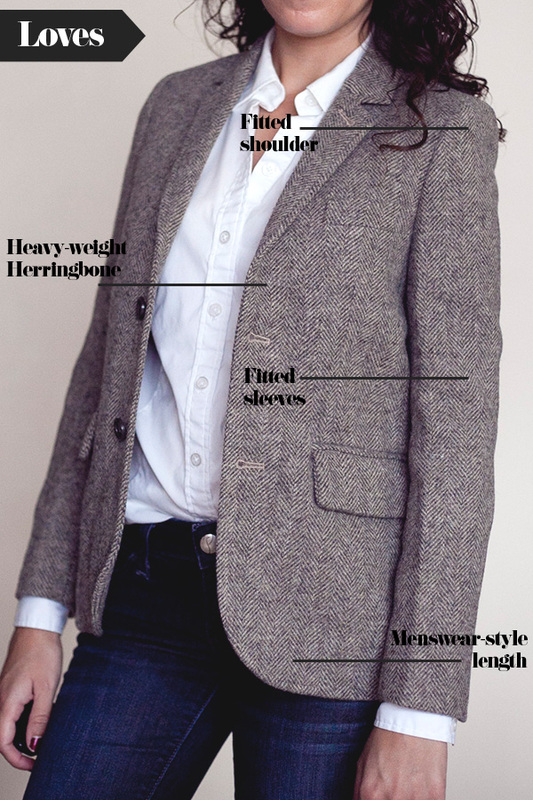 I’m 5’2″ and had ruined a favorite pair of skinnies by hemming them. I actually had never considered getting the ankle slimmed! This blog will be a regular read for me from now on! This was AMAZING, thank you! SUPER helpful! Gives shorties hope!